This coming Friday (January 15th 2010) Two of the Whisky Boys, Jim and Nicola are going to the Glasgow Royal Concert Hall where in the Buchanan Suite they will be partaking in the blending of the Whisky Boys version of the wonderful Black Bottle Whisky. Hurrah, hurrah, hurrah – can you believe it the Whisky Boys are a year old. On looking through the website – its been a busy old year. To commemorate this first birthday the “Boys” will be celebrating with a tasting of The Glenlivet Nadurra Aged 16 Years …..
Well hello folks. We thought it was time to review the Whisky Boys introduction. 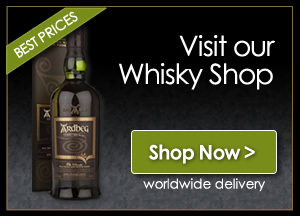 If you are new to this site, firstly we don’t sell Whisky. We were initially just two ordinary guys who have a passion for all things Whisky. Late last Autumn Jim and Dougie while chatting to Nicola thought on the idea of a website and so the Whisky Boys were born.